The Bliss Riviera Maya in Cancun, Mexico - 2018 - Bid on a 7 Night Stay in a 1 Bedroom Suite! 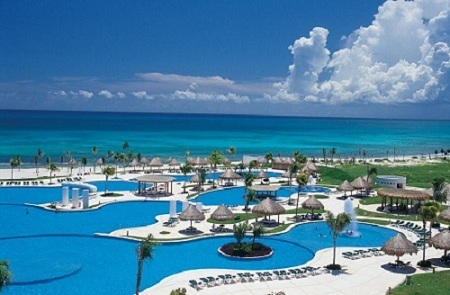 Enjoy a 7 Night Stay at The Bliss Riviera Maya in Cancun, Mexico! The Bliss captures the essence of vacationing in style. Tucked away on a breathtaking 338 acre property, The Bliss Jungle Riviera Maya is surrounded by jungle and mangroves. With a total of 21 buildings, your stay will be both private and adventurous. A trip to The Bliss Riviera Maya is an eco-journey in the tropical forest, lagoons, water canals and coastal dunes with all the hospitality and charm of Mexico from a by-gone era, the Mayan era. The Bliss conveys a feeling of being home, with a Mexican flare. Each room is designed with space and convenience, albeit traveling with your family or on a romantic getaway. Like all our Resorts, The Bliss is designed with your family in mind. A place to create memories, try new activities, taste the Mexican flavors and soak up fun under the sun. 1 BEDROOM SUITE: Sleeps up to 5 and has a partial kitchen. Double your size and double your pleasure as you bring the family to stay in the Suite floorplan. A room similar to the Master Room but with the option of one king bed, the Suite floorplan has an additional living and dining area. Both rooms have an exterior terrace. The living area consists of two sofas facing a second television as well as a kitchen and dining area for “eat-in” nights. The Suite lives like a condo with the convenience of a resort.